Cost effective range of general purpose AC servo motors and drives for applications requiring 200 to 1800 watts of power. 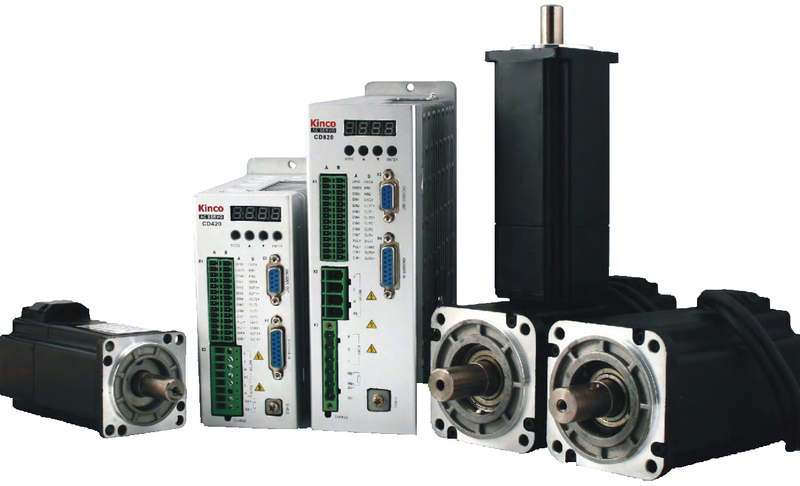 Motors feature 2500ppr encoder with economical mating cables. Drives fully digital and are supplied with setup software for parameter setting and tuning.